Aldie offers brand new and recently-built communities with luxurious single-family detached, townhouses, and condos in all sizes and price ranges. 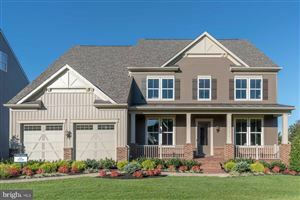 Many of the homes in the Aldie area offer gourmet kitchens and baths plus garages. Kirkpatrick Farms and Stone Ridge are two of the most popular new planned neighborhoods offering community pools, clubhouses, and activities. This area is accessible to work sites in downtown Washington DC, the Pentagon, Reston, Arlington, Alexandria as well as nearby Leesburg, Chantilly, and Ashburn. Family life is cherished in this town - many neighborhoods have informal block parties and friendly gatherings. The average home price for a single-family detached home is $500,000-$600,000 and $300,000-$400,000 for a single-family townhouse. Condos are available in the $200,000's. Welcome home to Aldie, Virginia!